A big change is coming up in the new year that could boost your credit score, making it easier for you to buy a home, a car, or other big purchases. (NEW YORK) — A big change is coming up in the new year that could boost your credit score, making it easier for you to buy a home, a car, or other big purchases. 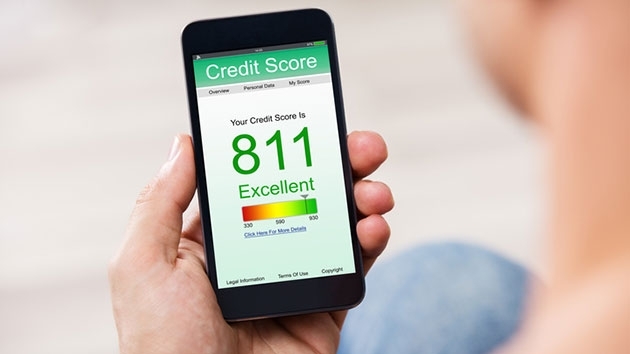 Starting in 2019, the new opt-in ultra-FICO credit score system will start rolling out, and could make millions of people eligible for loans which they currently might not have access to, according to ABC News’ Chief Business Correspondent Rebecca Jarvis. Currently, your FICO score is a number that predicts how worthy you are as a borrower. Many lending organizations such as credit cards, mortgages and car loans are based on your FICO score. A huge change is coming in 2019, however, that will likely mean that about 7 million people who can’t get a loan today should be able to get one under the new scoring method. Plus, they might even pay less for that loan too. The change will effect anyone who has a credit score in the low to mid-600’s. Essentially, you can apply for credit in the same way, but if your application gets rejected, you can ask for an “Ultra-FICO” score. This grants permission to check your savings, checking, and/or money market account. The system should have a soft launch in January of 2019, and be widespread by the summer. This will especially help those who are young, or who’ve had debt problems in the past, but who have money in the bank and aren’t bouncing checks. To improve their Ultra-FICO score in the new model, the two most important things a consumer can do is keep over $400 in the bank, and don’t overdraw your account, according to Jarvis.